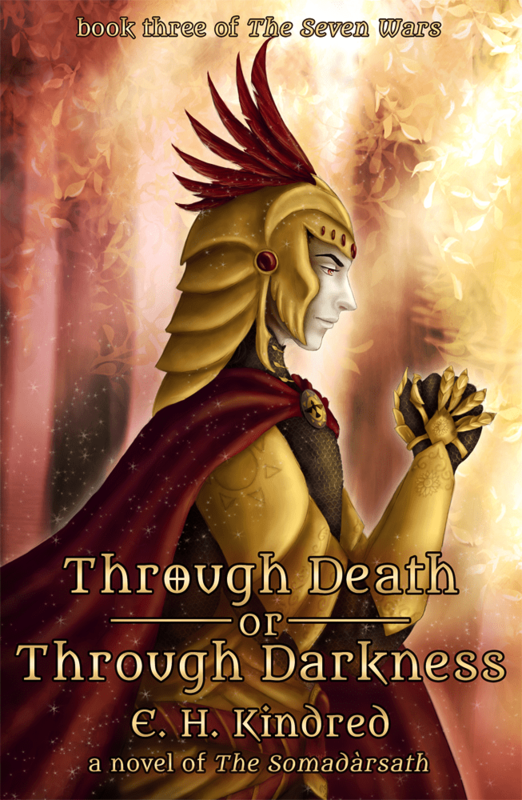 Through Death Or Through Darkness release! As of this morning, book three of The Seven Wars is now available in trade paperback and Kindle edition! I hope you all enjoy this book as much as I do. It’s rather a turning point in The Somadàrsath work, as it is the story that changes Etheria and our dear characters forever. In doing so, it sets the stage for the epic stories yet to come and lays the foundation for just about every major event in The Seven Wars that is yet to follow. Don’t miss out!